Stem plants are popular, often fast-growing aquatic plants for the background or middle ground of an aquarium or aquascape. They are traditionally planted into the substrate. 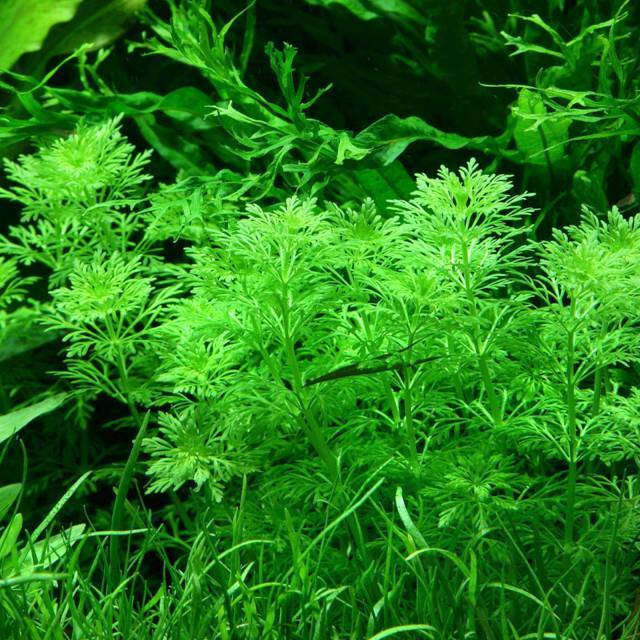 Under good nutrient conditions and sufficient light, these plants soon develop a new root system, and stems and foliage can reach the entire height of an aquarium tank in a short time. Due to the variety of species you can fall back on many different leaf shapes and colors for the aquarium design. In addition to the familiar shades of green especially reddish stem plants create a particularly beautiful color accentuation. These species are usually a bit more demanding in keeping. The use of many fast-growing background plants or middle -ground plants is furthermore an important aspect in the prevention of algic growth, especially during that tricky start-up phase. The round-leaved Rotala is one of the most popular background plants and not too difficult in keeping. Depending on light and the nutrient content, the leaves may be green to red in color. 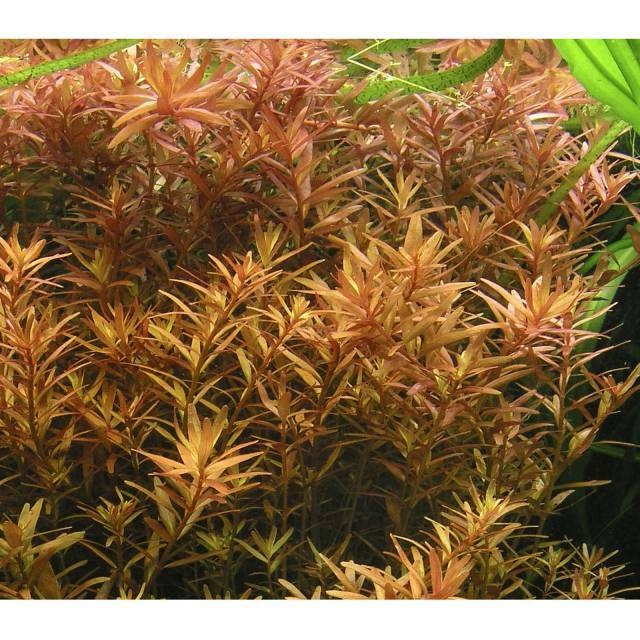 There are a lot of Rotala subspecies, varying in colour and leaf shape. Rotala sp. 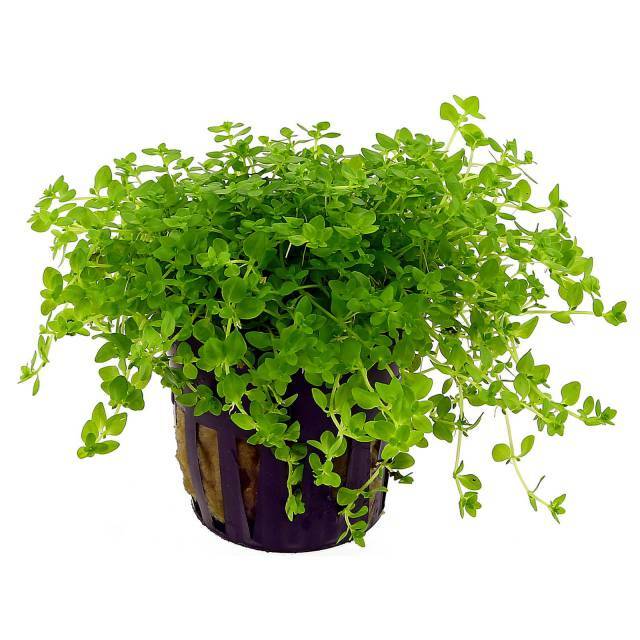 green for example, is a completely green variant, Rotala sp. colorata has more intense reds. Rotala rotundifolia 'Ceylon' / 'Pink' has pink leaf undersides and green tops. 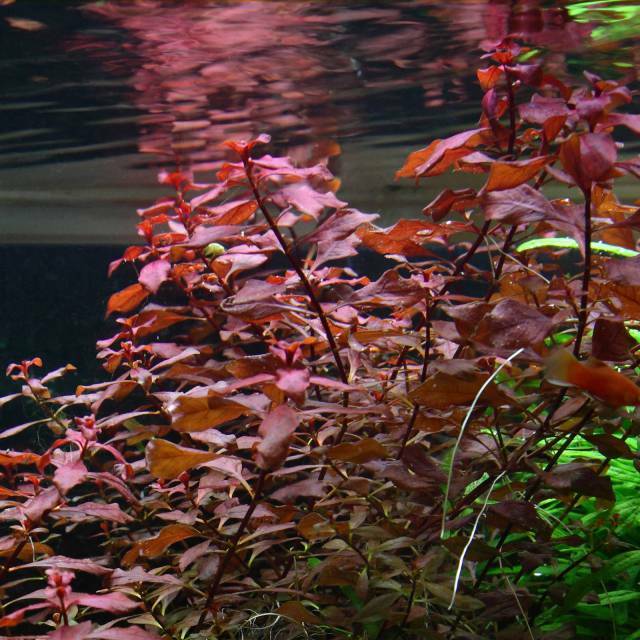 These deep-red Ludwigia really have a very intense red colour, even with moderate lighting. All in all, this plant is not too demanding and develops beautiful, small leaves. The Dwarf Ambulia is characterized by its fine-fronded, green foliage. For a stem plant, Limnophila sessiliflora is pretty robust and less demanding and recommendable to any beginner. Hemianthus glomeratus as emersed potted ware. The Manatee mudflower was falsely knows as Hemianthus micranthemoides for quite a long time. Due to its small diameter, this plant is very suitable for the backgrounds of nano-tanks, and usable as middle- or foreground plant in bigger tanks. Another positive aspect of stem plants is that they can be shaped by trimming. In principle, only a short piece of stalk is enough to make a new plant out of it. In this respect, plant stocks of these species can be shaped into beautiful, compact shrubs by regular trimming. Suitable plant scissors are used for this. You can find a more detailed description for the pruning of stem plants here. Since most stem plants grow pretty quickly, they also use up nutrients more intensely. A good supply with liquid fertilizers is therefore essential in addition to sufficient light and a carbon supply. In this article you’ll learn, how to -among others- properly supply nutrients to more challenging background plants.